Organisations should care about identity so they can stop caring about it. Identity needs to disappear, but only from sight; it needs to be invisible. If you've been to any of Disney's theme parks recently, you may have noticed they now have something called the MagicBand. It cost them a lot of money. Disney calls it "magic". The technology powering the MagicBand infrastructure was complicated to build, but they've done it and have the increased revenue to show for it. They've also managed to turn what is effectively a security device into a new revenue stream by making people pay for them, including charging a premium for versions that have Disney characters on them. While it does many things, arguably the key benefit of the MagicBand is in delighting Disney's customers by providing seamless, friction-less, surprising experiences without being creepy. For example, when you walk up to a restaurant, you can be greeted by name. You will then be told to take a seat anywhere. Shortly after, your pre-ordered meal will be brought to you wherever you chose to sit, just like magic. If you understand technology, you can inherently figure out how this might work. But the key in all this is the trust that the consumer places in the company. Without the trust, Disney steps over the "creepy" line. How does Disney ensure trust? Through security of course. Sure, the brand plays a part, but we've all lost trust in a supposedly trusted brand before because they screwed up their security. The key pieces of that security? Identity proofing, authentication, access control and privacy, none of which is possible without a functional, secure identity layer. What Disney has managed to achieve within their closed walls is exactly what every organisation trying to do something with omni-channel and wearables would like to achieve. Disney is a poster child for what is possible through an identity-enabled platform, particularly in bringing value to the business through increased revenue and customer satisfaction. Identity truly is the enabler for Disney's MagicBand. The reason it works is because no one notices the identity layer. Not every organisation will be able to achieve everything Disney has managed, but even going part of the way is worth the effort. 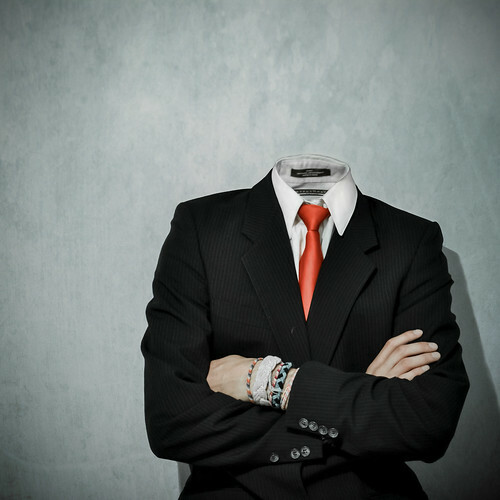 Only by ensuring the identity layer is there, can you really make it invisible. Until people stop noticing the identity layer, you need to keep working on it. Only then will the business see the full potential and value that identity brings to increasing revenue.